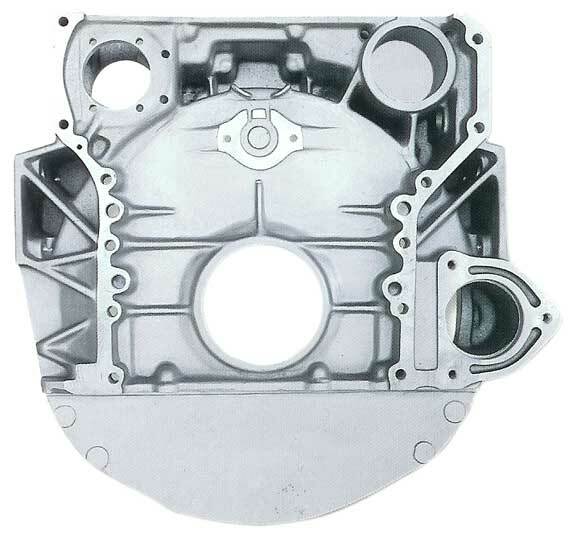 We carry Flywheel Housings for all makes of diesel truck engines. With a massive inventory of new Flywheel Housings, First Motion Products has the Flywheel Housing you need. Our line includes SAE #1, SAE #2, and SAE #3 in aluminum and cast iron. We offer same day shipping and next day delivery to a 27 state area. We fill those requests for the every-day parts or hard-to-find parts. If you are looking for a quote on a Flywheel Housing, contact us by calling 1-573-468-3840 or request a part online.